With the passing of each day, the living memories slowly flicker out. 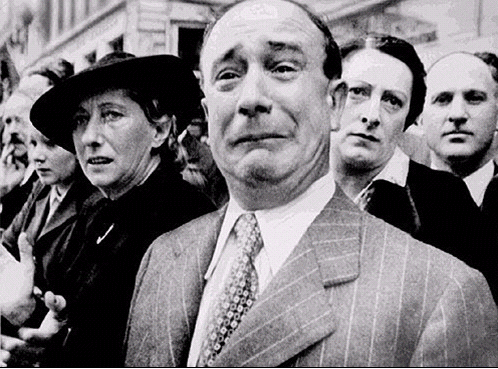 Soon there will be no one left who remembers the time when madness first gripped our country. How else but madness can one explain why we abandoned fellow democracies in their time of greatest need and left one of our own armies stranded at the mercy of a pitiless enemy. How else but madness can one explain why the American people would put their faith in socialist politicians who led us to stripping our defenses while waiting to be attacked. On May 6th 1942, the last bastion of freedom in East Asia, Corregidor, the Rock, fell after a five month siege and final assault. Below is the audio link of the final transmission from these doomed men. 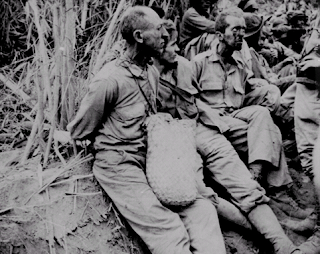 The Fall of Bataan and Corregidor marked the biggest collapse in US military history. 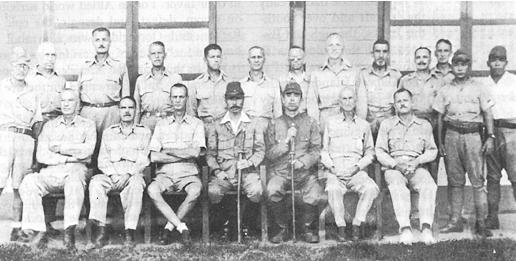 In addition to the 14 generals pictured above, approximately 66,000 Filipino and 11,200 American soldiers surrendered on April 9, 1942 at Bataan and 10.000 American and 1,000 Filipino soldiers surrendered on May 6, 1942 at Corregidor. This does not include the various armies that Wrainwright compelled to surrender throughout the Philippines. Within a couple of months, a large portion of these soldiers would be dead. 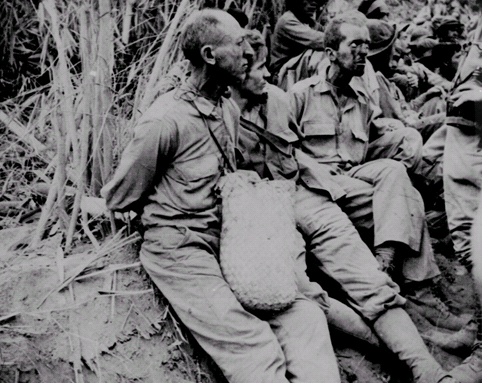 Estimates place the death toll on the Bataan Death March at 8,000 Filipino and 650 American soldiers. Once they arrived at the final stop, Camp O'Donnell; a further 25,000 Filipinos and 1,500 Americans perished within a few months. While the surviving Filipinos were eventually released, the mass murder of American soldiers would continue for the next three years. 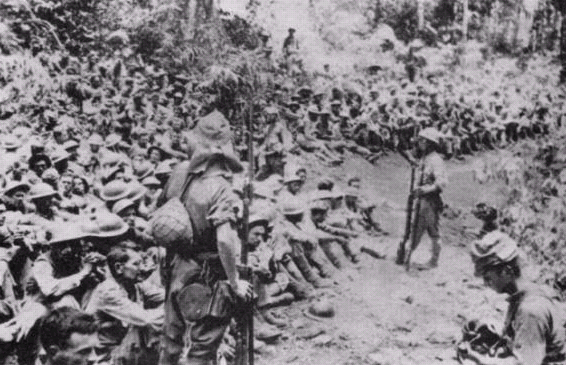 Shocking though it may sound, the United States Government planned to let its armies be sacrificed initially in the Far East. Like today, it could not count on its European allies for more than anemic support. It had negotiated lopsided disarmament treaties with an enemy intent on destroying us. It also could not count on its own populace to support the defense efforts required because such support had been undermined by a third column of Marxists throughout the intelligentsia. 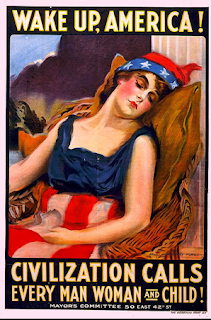 Oddly, while the defeat in WWI and harsh settlement terms seemed to energize the German people, the victory seemed to have the opposite effect on Democratic Europe. 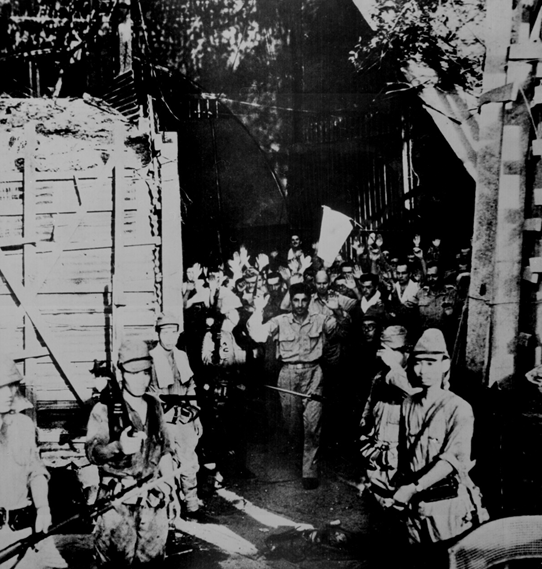 By the time of the Japanese invasion of the Philippines, the failure to respond early to the Nazi threat had left most of Europe either occupied or fighting for survival and unable to provide meaningful aid for the defense of Asia against Imperial Japan. 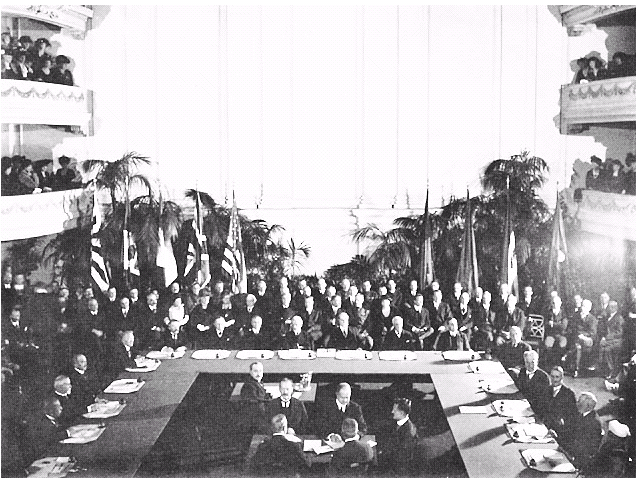 WASHINGTON CONFERENCE, 1921-22. Seated at table, from left: Prince Iyesato Tokugawa (Japan), Jules Jusserand (France), Albert Sarraut (France), René Viviani (France), Aristide Briand (France), Oscar W. Underwood (U.S.), Elihu Root (U.S.), Henry Cabotge (U.S.), Charles Evans Hughes (U.S.), Lord A.J. Balfour (Britain), Lord Lee of Fareham (Britain), Sir Aukland Geddes (Britain), Sir Robert Borden (Canada), G.F. Pearce (Australia), Sir John Salmond (New Zealand), and Srinivasa Sastri (India). This treaty prevented the creation of new battleship fleets. Many people feel that, since the US had to maintain fleets in both the Atlantic and Pacific that the limitations favored the Japanese. It also prevented the United States from strengthening its forces in the Eastern Pacific. This was a continuation of the Washington Treaty and extended limits on lighter classes of vessels such as cruisers and destroyers. 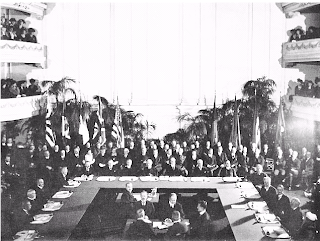 Even though Japan refused to sign, the United States and Britain did in the hope of getting Japan to either sign or honor the treaty without signing. While the treaty was originally intended to limit the growth in number of warships, the signatories were only able to agree on displacement, armament and armor. 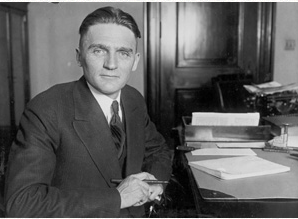 Take for example the case of Senator Gerald Nye. His name is linked with many known Communist causes that were used to try and undermine American Democracy. While Saul Alinsky is often credited with codifying the rules for undermining our democracy, the techniques were well known and used long before he stalked the streets of Chicago. In brief, these efforts consisted of relentless propaganda efforts to create unrest by constantly portraying American democracy as corrupt and unjust. Credits to this site for the Photo and Video although I disagree with their conclusion that Mooney was framed. Note: It is the standard Communist agent Modus Operandi to deny when exposed and vehemently proclaim innocence when convicted. This gives their allies in the media and intelligentsia the ammunition needed to bang on the American justice is corrupt and brand their opponents are extremists who lynch innocent people drums. Another case of the Left trying to portray two murdering anarchists as Innocent, hard working immigrants. 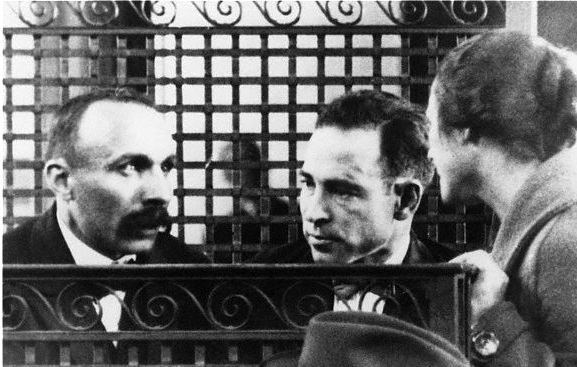 "The few times growing up I heard about Sacco and Vanzetti, they were always described as a poor fish peddler and shoe smith who were victims of xenophobia and classism; innocent Italian immigrant who would have never dreamed of doing anything wrong. Most writing on them and people who've studied the two anarchist continue to portray them as such victims. Avrich blows away this absurd and insulting label, exposing their anarchist convictions and detailing their participation in a series of bombings before their arrests and a trip to Mexico with about five dozen other Galleanists during World War One to dodge conscription and train for the revolution that they thought was going to sweep across Europe from Russia and into North America." Note: How the Sacco and Vanzetti Case was also used to falsely brand America as corrupt and, in this case, racist. 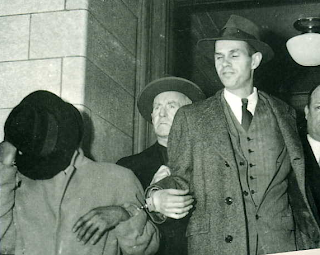 It is interesting to note that per the request of Gerald Nye, convicted communist spy Alger Hiss was granted a temporary leave of absence from the State Department to serve as counsel to the Nye Committee. For over fifty years, Hiss followed the standard communist spy MO and vigorously proclaimed his innocence. His case was used by the media for years to brand any opponents of the left as vicious McCarthyite extremists. ALEXANDER VASSILIEV: The Rosenbergs, Theodore Hall and Alger Hiss did spy for the Soviets, and I saw their real names in the documents, their code names, a lot of documents about that. How you judge them is up to you. To me they're heroes.
" No criminal case had a more far-reaching effects on modern American politics than the Alger Hiss-Whittaker Chambers spy case. 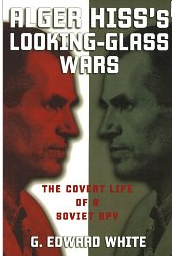 The case catapulted an obscure California congressman named Richard Nixon to national fame, set the stage for Senator Joseph McCarthy's notorious Communist-hunting, and marked the beginning of a conservative intellectual and political movement that would one day put Ronald Reagan in the White House"
'The VENONA files are decoded cables sent from Soviet agents in the United States to Moscow. Transcripts of the intercepted cables were released by the Central Intelligence Agency and the National Security Agency in 1995 and 1996. The VENONA transcript with the most relevance to the Hiss case is #1822, sent March 30, 1945 from the Soviet's Washington station chief to Moscow. (The transcript appears below.) 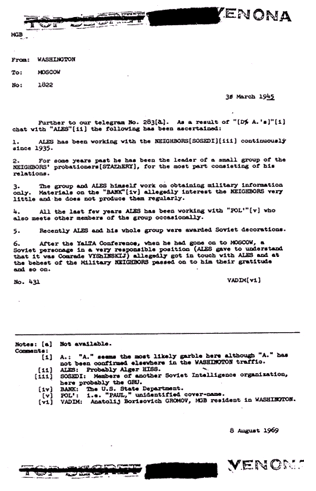 If one accepts that "ALES" is indeed Alger Hiss, the transcript indicates that Hiss continued to work as a Soviet agent well until at least 1945, well after his association with Chambers ended in 1938. The period of the 1940s was one during which Hiss served as an important policy maker in the State Department." "Those who believe that that human understanding progresses over time may take comfort in the fact that for all but the most ideologically besotted and intellectually corrupt the question of Alger Hiss's guilt is no longer of much interest. For G.E. White, the Traitor Hiss was self-evidently just that and the real issue instead: why did he lie, lie for 40 years after his conviction and imprisonment for perjury, lie to his supporters, lie to his friends and, most of all, lie to and thereby debauch his own son, enlisting filial devotion in his selfish and ultimately futile quest for a thoroughly undeserved vindication? White, the David and Mary Harrison Distinguished Professor at the University of Virginia School of Law, organizes his study around these psychological questions, but also he supplies an admirably concise review of the Hiss case, and, most importantly, describes the intellectual climate in which the traitor and his allies succeeded for a time in muddying the historical waters, not least for a younger generation of Americans raised on tales of America's Cold War perfidy." "In 1948, lawyer Alger Hiss made what was arguably the biggest mistake of his life: he sued Whittaker Chambers. 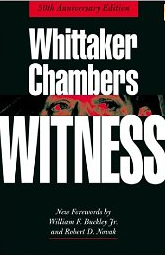 Chambers had publicly accused Hiss of having been a Communist Party member, Soviet spy, and agent of influence. Unfortunately for Hiss, Chambers had saved some of the material Hiss passed him for transmission to Soviet Military Intelligence. Alger Hiss ended up in prison, was disbarred, and spent the rest of his life trying to convince people a fantastic conspiracy had framed him. 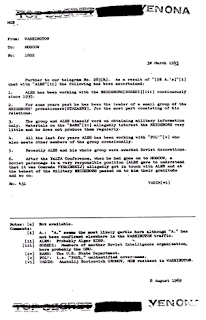 In 1971, Hiss made a mistake almost as large: he let an honest man look at his defense files. 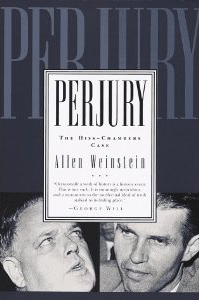 Historian Allen Weinstein had previously believed that Hiss was innocent. But when he read what Hiss's lawyers said in private, and what FBI agents had written J. Edgar Hoover, he found there was no reasonable doubt possible anymore. Hiss had spied for the Soviets, and Chambers had usually told the truth to the best of his ability. Chambers had sometimes lied, but only when he attempted to minimize Hiss's guilt -- and his own, for Chambers had secrets about himself to protect, and a well founded fear of being the messenger killed for bearing bad news." Congress prohibited the President from discretionary embargoes of arms and war materials. In other words, the act made no distinction between a belligerent and an innocent party. When war broke out the president was forced to embargo all parties. This act extended the 1935 act and covered financial assistance in additional to arms and other war material. It neglected to cover oil. This act made the provisions of the other acts permanent. It was also extended to include civil wars such as the one raging in Spain at the time. Roosevelt did get a Cash and Carry Provision inserted which allowed belligerents to purchase in cash and transport on their own vessels. This act did not cover the Sino-Japanese conflict since war had not officially been declared. This act effectively ended arms embargoes because it extended the cash and carry provisions of the previous acts and created a munitions board which controlled licenses for exports, thereby, creating an agency that the president could influence as to what licenses to grant. Senator Gerald Nye objects to Roosevelt's pact in which Britain will lease navy bases to the US in return for 50 destroyers. 1) It asks what one democratic nation owes another in times of mortal danger. 2) It cautions against blindly accepting that such organization are purely humanitarian as they often portray themselves to be. 3) It warns against falling for the standard liberal argument that seeks to equate Democracies to authoritarian dictatorships by constantly harping on flaws in our society such a racial discrimination. 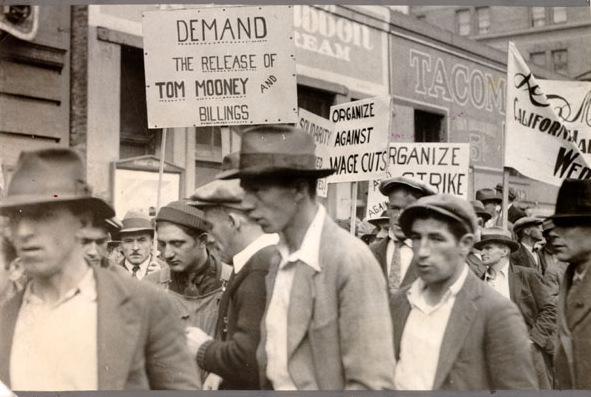 For more information on the major role the left played in this movement research the Keep America Out of War Committee headed by Gerald Nye and Norman Thomas, which merged with America First early on and provided much of its leadership. NOTE: This quote is disputed so please allow me a Dan Rather fake but accurate moment especially since the left and their media allies constantly resort to this type of tactic.